Brands see the collaborations as an entertaining experience for customers that increases opportunities to create a synergistic marketing effects to increase sales. Quirky, humorous and sometimes odd marketing has often been a successful public relations strategy for food companies. The fashion foray is the latest such tactic, as it helps to draw customers with limited-time offerings, according to industry insiders. Local food giant SPC Group is one of the companies that has been experimenting with the food-fashion convergence. 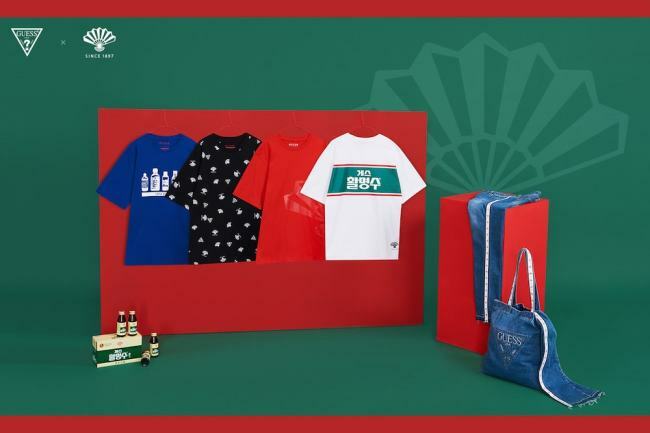 It has launched collaborative merchandise targeting young consumers in their 20s and 30s who want unique and eye-catching “Instagram-worthy” items. SPC Group, which operates the local unit of US burger chain Shake Shack, has teamed up with Case Study, a brand operated by Shinsegae Group’s premium fashion store Boon The Shop. 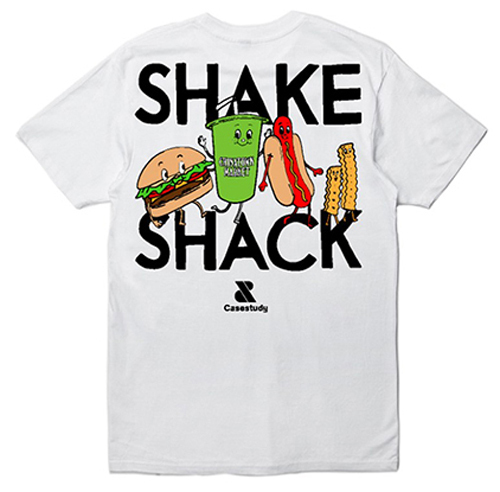 It launched T-shirts, caps and bags printed with characters of the Shake Shack burger, fries and hot dog, designed by Case Study’s Creative Director Mike Sherman. All items sold out within days, according to SPC. “Collaborations between unexpected fields such as food and fashion usually bring positive feedback from consumers. Such creative brand experiences can provide an opportunity for a company to evoke a new brand image,” said an official in charge of brand marketing at a fashion company. Shake Shack has picked local sportswear brand Barrel as its next collaboration partner. From June, limited menu items such as Surf and Fries will be added, along with sales of Shake Shack-Barrel collaboration summer fashion items such as a beach towel and badge. “If it is a rare collaboration, the brand can quickly go viral on social media. This normally works as an opportunity for new brands to increase the level of awareness through collaboration marketing,” the official explained. Collaboration marketing is not an opportunity limited to “hip” companies. Dongwha Pharmaceutical, which has been selling indigestion drink Gas Whalmyungsu for 120 years, collaborated with global jeans brand Guess in May. The very first collaboration between a pharmaceutical company and a fashion brand quickly went viral. Some 4,000 T-shirts, jeans and denim bags bearing Gas Whalmyungsu’s signature folding fan logo sold out from Guess Korea’s online store within three days. “The millennial customers particularly enjoy our collaboration and buy items which are reasonably priced. They are limited editions, easy-going and can be used in everyday life,” said a Dongwha Pharmaceutical official. A Guess T-shirt with Gas Whalmyungsu’s logo sold for 28,000 won ($26) at Guess Korea’s online and offline stores. This was not the first collaboration project by Dongwha Pharmaceutical, which has been working since 2013 with non-food brands like Kakao Friends as well as TV series “Show Me the Money,” launching limited editions of Gas Whalmyungsu products to raise brand awareness among younger consumers. Customers these days prefer products that have a trendy first image as well as a sense of humor,” the official said. Coca-Cola’s recent collaboration with cosmetics brand The Face Shop also scored record sales, selling over 300,000 limited package cosmetics items such as Coca-Cola concept lipstick, foundation and eye shadow in 50 days from its launch. “Collaboration marketing often leads to increased product quality since two brands join to make synergy. Customer satisfaction is normally high as well. With brands from different categories breaking down the boundaries, companies should continue to research and develop creative products, moving away from an idea that collaboration marketing is a one-time campaign,” said an industry insider.